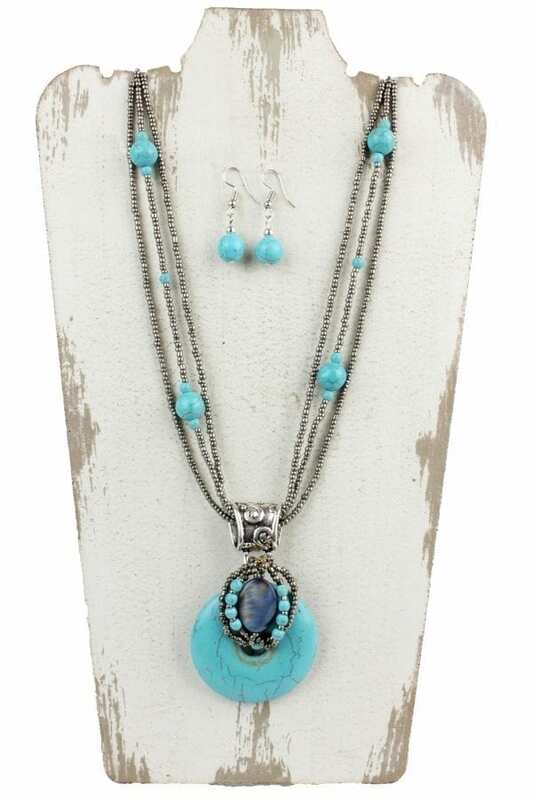 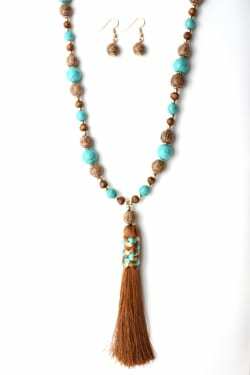 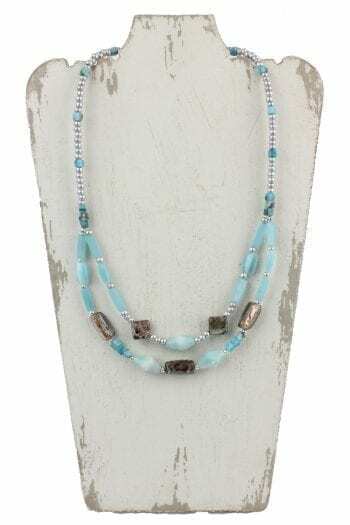 Magnesite Turquoise Necklace and Earring three strand Set. 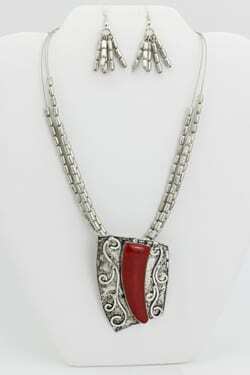 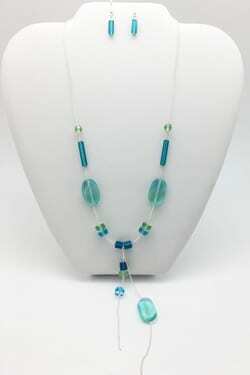 This Necklace measures 20 inches with a 4 inch extender. 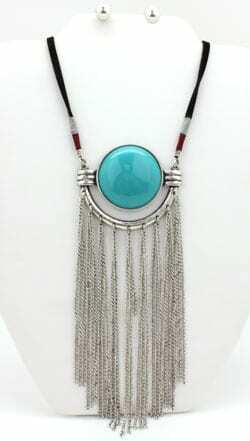 The donut pendant measures an additional 2 inches embellished with mother of pearl , magnesite beads and silver.